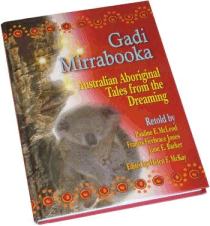 The first edition of Gadi Mirrabooka was popular and sold out before I knew it. Sadly I had sold the last copy. Fortunately, a further printing has been produced which is the same beautiful quality as the first edition. We now keep a good stock of quality prints and can deliver on demand.